CAVIAR EMPTOR: Think a fish egg is just a fish egg and a blini is a tiny pancake? 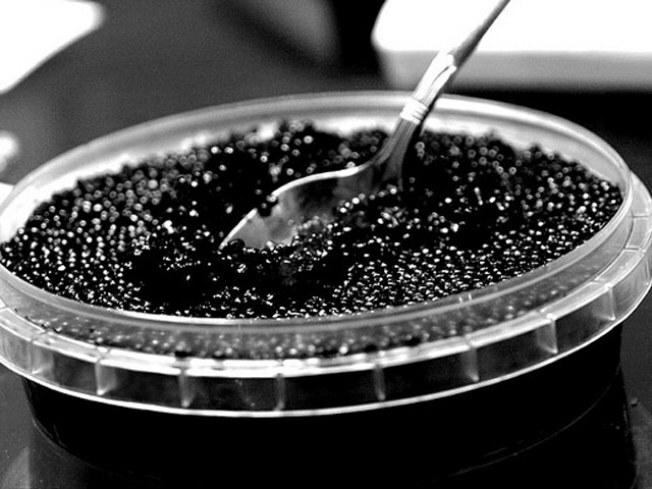 At the Astor Center’s Caviar Primer class hosted by Josh Russ Tupper and Niki Russ Federman, 4th-generation owners of Russ & Daughters, get schooled in this most decadent of holiday season edibles—from history to presentation and pairings--and hoist your tiny spoon with confidence. 6:30PM. SIMPLE GIFTS: Today’s the last day of the Rockefeller CenterReal Simple Holiday Pop-Up Shop, where—aside from tasting all sorts of delicious things and hobnobbing with the magazine’s editors—you can score all kinds of nicely priced stocking stuffers and generally pare down your to-do list. 10 West 49th Street, 10AM-10PM. TWO TO: If you’re curious about tango but the hefty dance class price tags around town have you settling for watching it on Dancing With the Stars instead, know that Chelsea Studios offers a monthly Introduction to Tango class for a paltry $5. No parter required; just bring comfortable shoes. 7PM at 151 W 26th, register at statnyc@yahoo.com.